As Robb says, he recently contacted Nice Rack Canada to "improve his quality of gigging life". 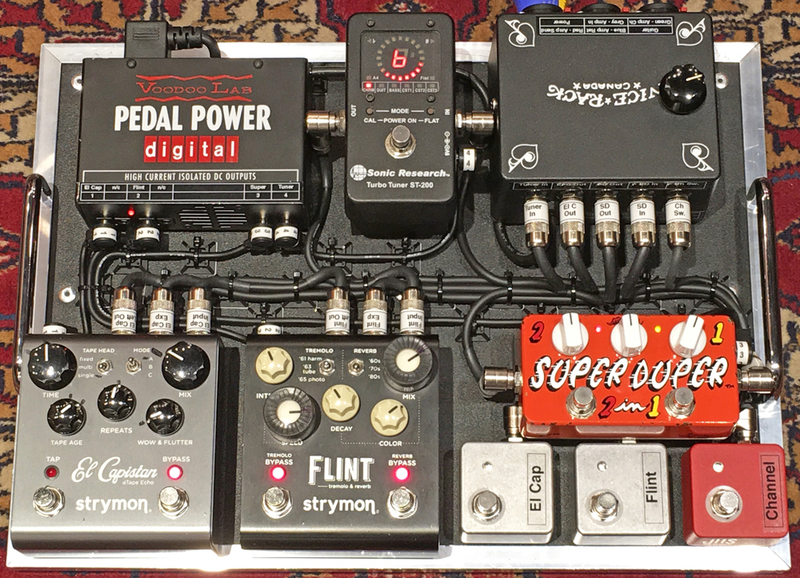 We built up this compact clean tone machine for Robb's jazz gigs with the Robb Cappelletto Band, hip hop gigs with The Airplane Boys & his teaching work at York University. 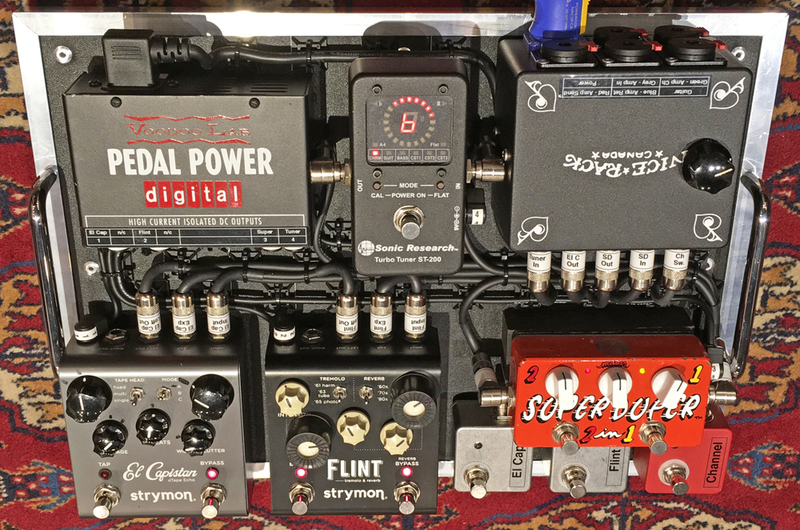 The system is a "4CM" signal path of, Guitar --> Z Vex Super Duper 2 In 1 --> Mesa Boogie Mark V/25 Preamp --> Sonic Research Turbo Tuner --> Strymon Flint --> Strymon El Capistan --> Master Volume --> Mesa Boogie Mark V/25 Power Amp --> Mesa Boogie Thiele 1x12" Cabinet. In the custom In & Out Connection Box we built, we included a Switching Circuit that gives the user a "bail out" to use the system with amps that do not have an effects loop. Our touring experiences have taught us that when working with rental gear, be prepared! It's only a "when", not "if" the rental company delivers an amp without an effects loop. By toggling the switch to the "Series" option the "Post" effects are moved to a new location in the signal path, in series with the Amp input.